I would like to thank you wholeheartedly for the excellent service provided by your engineers today. They were professional and courteous, and isolated and resolved the problem very quickly. They even made a special effort to clean up mess that was not their own making! which was achieved with a minimum of disruption to my property. Abbey Maintenance for their work and have no hesitation in recommending their services to others. and we find Abbey Drains fully committed and always achieve the highest standards. this also results in the most cost effective use of materials and energy. works on our properties in a prompt and efficient manner with positive results. on a company for the services they supply. Plumbing applications, 24hr emergency sewer & drainage. Abbey Maintenance is a family-run professional, efficient and customer focused friendly team of specialist, qualified electricians, plumbers, carpenters and multi-trade personnel. We install thousands of gas central heating systems every year for our clients. Designing and installing effective heating systems that can be adapted to meet the specifications of different properties and clients. There’s a certain element of class which you just can’t get from most materials. When you’re looking for that real sense of atmosphere, that personality which speaks to the senses of everyone around, you just can’t beat a good piece of carpentry. We are a London based decorating company and we pride ourselves on reliability, cleanliness and honest work. We decorate churches, schools, offices, homes and can provide references of satisfied customers. Working to the highest possible standards, and we pride ourselves on our first class reputation, providing all our customers value for money. A family run business for the past 12 years we have built our business on reputation. Providing quality assured building, renovation and restoration services to the public and commercial sectors. Our proven track record, as you can see from our client response, is the result of the delivery of absolute quality to all of our customers. Have you got a blocked drain which is causing an inconvenience? Are you unable to use the facilities within your property? Abbey Maintenance Services is a landscape gardening company in Leigh who offers you a range of hard and soft landscaping services. We pride ourselves on our friendly courteous manner in which we bring to every job. Customers always comment on our fast and efficient work ethic and we always finish every job on time and within budget. 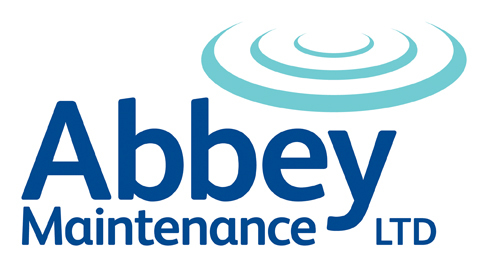 Abbey Maintenance Services are a specialist company of highly skilled surveyors and technicians, offering a one stop service from consultation to cure for RISING DAMP, CONDENSATION & BLACK MOULD, WET & DRY ROT and WOODWORM. Established in 15th August 2002 we provide quality Glazing Repairs across the UK. No job is too small and our services extend to both Commercial and Residential Properties.